Fri., March 30, 2018, 2:24 a.m.
For at least four decades, ‘420’ has been a secret-not-so secret code for anything or everything cannabis. To some, it’s simply a regularly occurring time of day and day of the year upon which celebrants are encouraged get high. 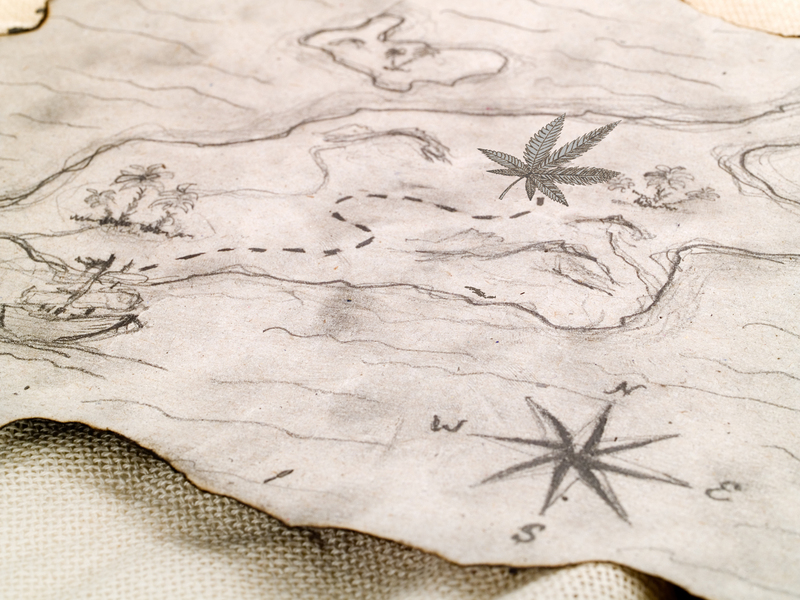 Thanks to last year’s issue of Evercannabis, (Catch up here!, we know that the whole phenomenon originated with the Waldos, a group of high school pals in California in the mid-1970s who regularly gathered at 4:20 p.m. to set out in search of a legendary crop of abandoned cannabis plants rumored to be growing nearby. Even though they never actually found the hidden stash, the search was a good opportunity to enjoy their favorite herb, and the numbers of people they told about the 420 code grew and grew, until now the date has become a community celebration and sale day. For 2018, it also raises the question: Now that many states offer legal cannabis, do we still need a secret password? Pot partakers will likely still say “yes,” but many will agree that the meaning may have changed. Meaning 1: Fight the good fight! Strides in state legalization has turned what had once been a kind of a poke in the eye to “The Man” or an anti-establishment holiday into more of a celebration of cannabis culture. It’s a day to enjoy the fruits of the labor that went into making cannabis legal in and appreciating the work that got the culture to this point. Meaning 2: Welcome! As cannabis becomes more acceptable in all its forms, the holiday could be considered a welcome mat and open door to newcomers. Rather than a day of protest or resisting societal demands, 420 can be seen as a commemoration of moving goalposts further from prohibition. The more people who feel comfortable, the less likely it will be for current or future political administrations to reverse course. Meaning 3: Party on! No matter the deeper social implications, 4/20 is always going to be about enjoying your favorite herb in your favorite ways. In the spirit of celebration and welcome, many local shops will be commemorating the occasion with sales, deals, entertainment and special events. Many stores are lowering prices and increasing inventory for the occasion. • At Sativa Sisters, General Manager Erik Skaar encourages people to come by for fun and savings. “To celebrate 420 and the end of Prohibition in Washington we will be offering 20 percent off all of infused products and flower,” he said. Skaar also promises additional deals, including 50 percent paraphernalia. Lilac City Gardens, an area producer, will be in the store along with a DJ. Amsterdam Coffee Club will be selling half-price apparel and 20 percent off CBD products. Chances are ‘high’ that you’ll find other deals at your favorite local retailer and plenty of suggestions to commemorate the occasion. Published: March 30, 2018, 2:24 a.m.